Several months into the transportation experiment, three bike-share companies have already scattered some 4,000 bikes around the city. With so many bikes, the scenic novelty is starting to wear off. 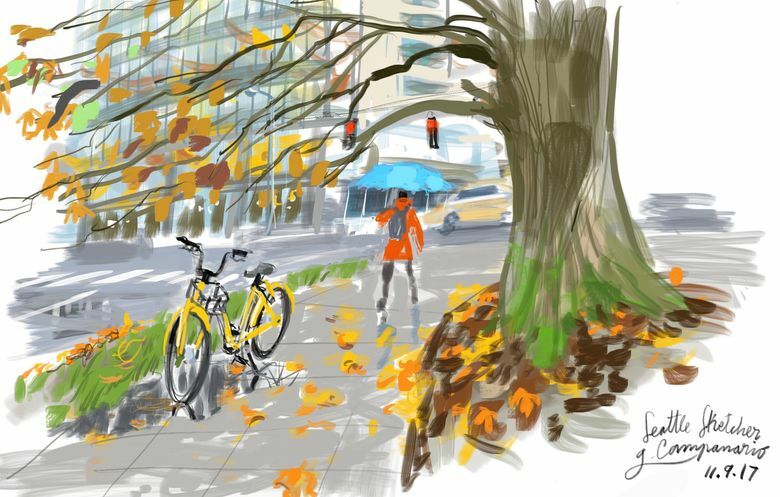 And as more bikes get toppled by the wind, bike share is becoming more of a bike mess. 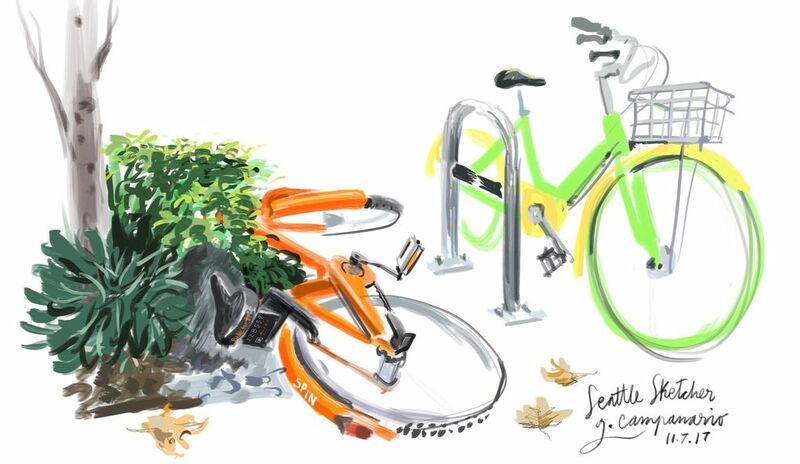 When the bright-colored dockless bikes started popping up in Seattle during the summer, I thought they were cute. They create interesting sketching and photo ops, especially when you find them lonesome by a trail or in some other picturesque setting. 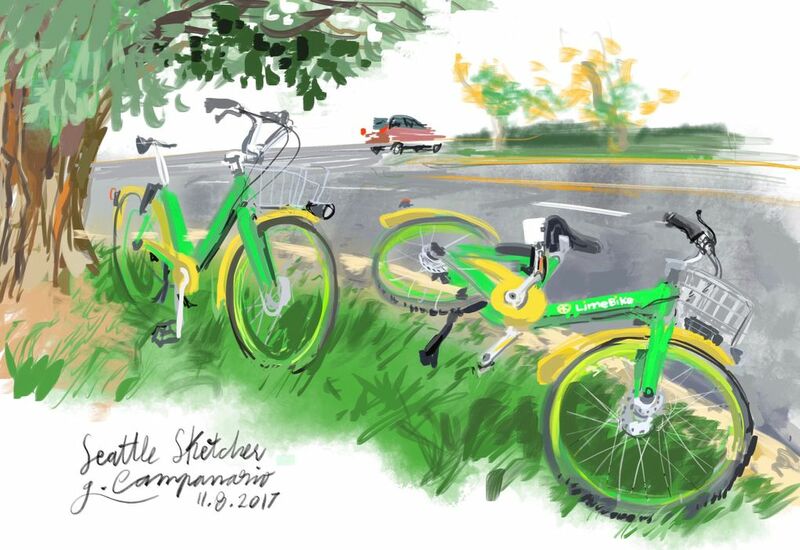 Several months into the transportation experiment, three bike-share companies have already scattered some 4,000 bikes around the city. With so many bikes, the scenic novelty is starting to wear off. And as more bikes get toppled by the wind, bike share is becoming more of a bike mess. In China, where this station-less bike-share system started a few years ago, people are reportedly dumping broken shared bikes in awful piles. I see why regular citizens who appreciate living in a tidy city would take this matter onto their own hands. I’ve already picked up several shared bikes from the ground to combat the chaos of this sudden bike-maggedon.